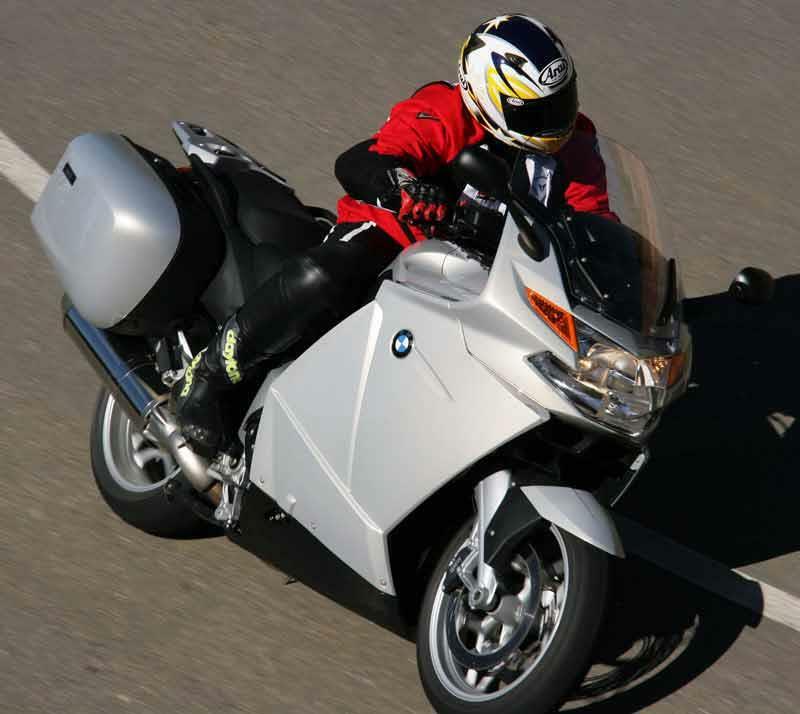 The current BMW K1200GT, launched in 2006, is very different from previous generation BMW K1200GTs. It uses BMW’s latest frame and across the frame four cylinder engine which is a much faster, more stable motorcycle with more luxury. Compared to the old version of this motorcycle the 2006 BMW K1200GT provides a higher level of touring comfort yet also weighs less and handles far better thanks to a massively superior frame and suspension. Ok, maybe the 2002-2005 motorcycle should only get four. The BMW K1200GT is well built and shrugs off winter better than most Japanese motorcycles and is aeons ahead of Italian motorcycles. But neglect it and alloy can corrode and the odd reliability glitch occurred on a handful of motorcycles. 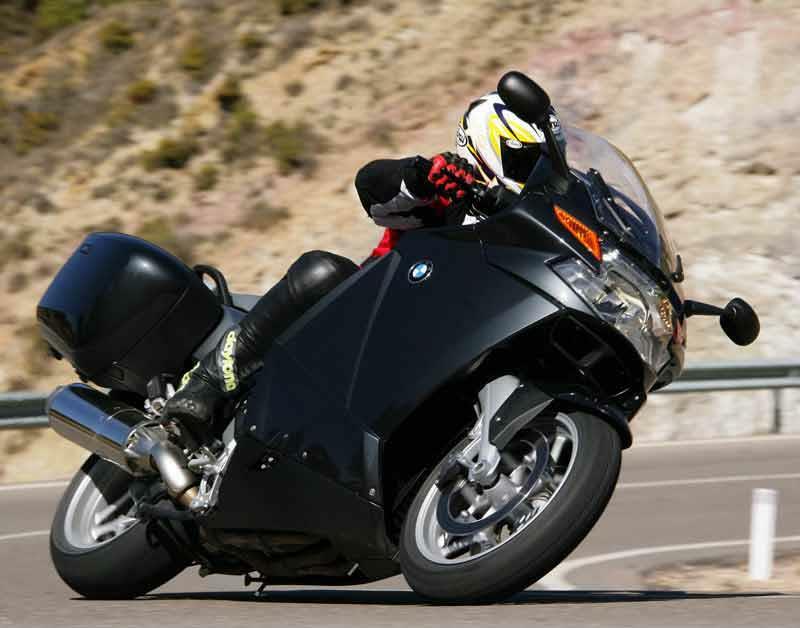 2006 onwards BMW K1200GTs seem even better. The 2006 K1200GT is £12,095 – and represents a lot of motorcycle for the money. Yamaha’s FJR1300 is almost as much and not as luxurious likewise the Honda STX1300 Pan European which lacks power by comparison too. Find a BMW K1200GT for sale. Excellent. 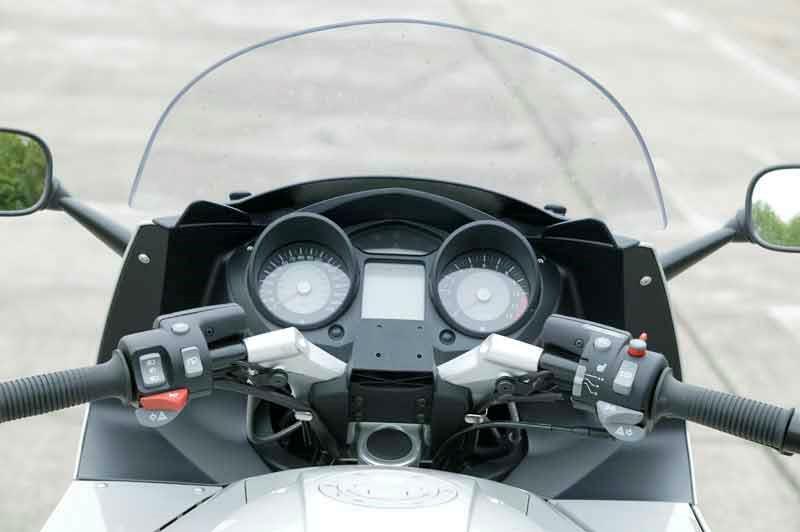 The BMW K1200GT's riding position is comfy for both rider and pillion, the electrically adjustable screen is useful, shaft drive effective and maintenance free, panniers useful and instruments comprehensive. Optional extras for this motorcycle include a huge range including heated seats (individually controlled) GPS navigation systems and more. 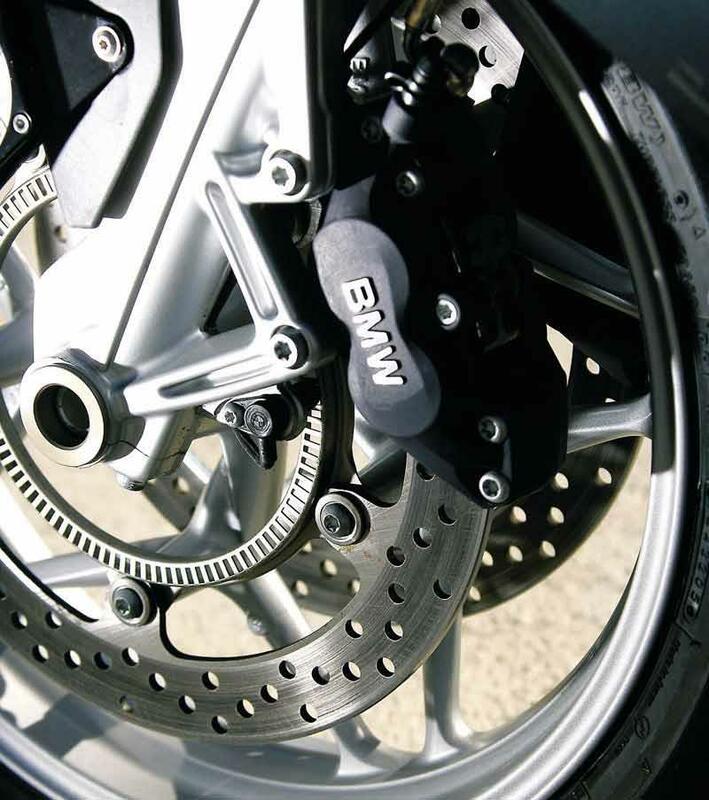 Compare and buy parts for the BMW K1200GT in the MCN Shop. 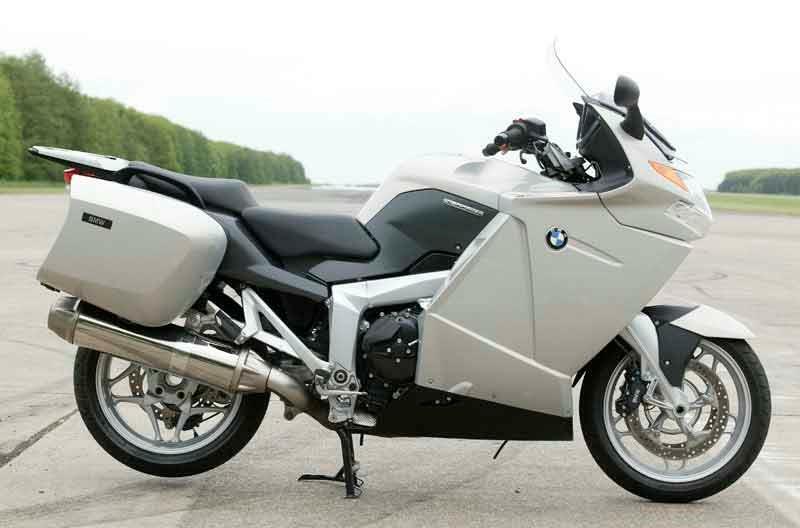 2002: Original flat-fou BMW K1200GT motorcycle released in December. 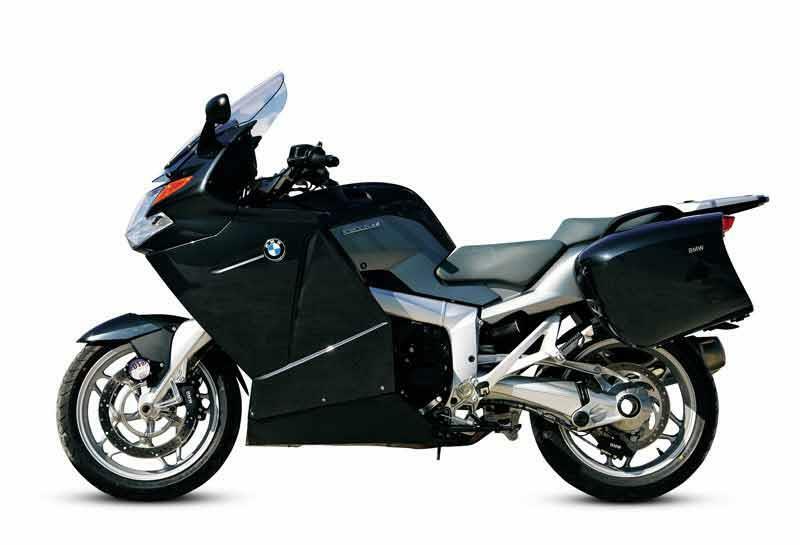 2006: All new beam frame, in-line four engine BMW K1200GT launched. 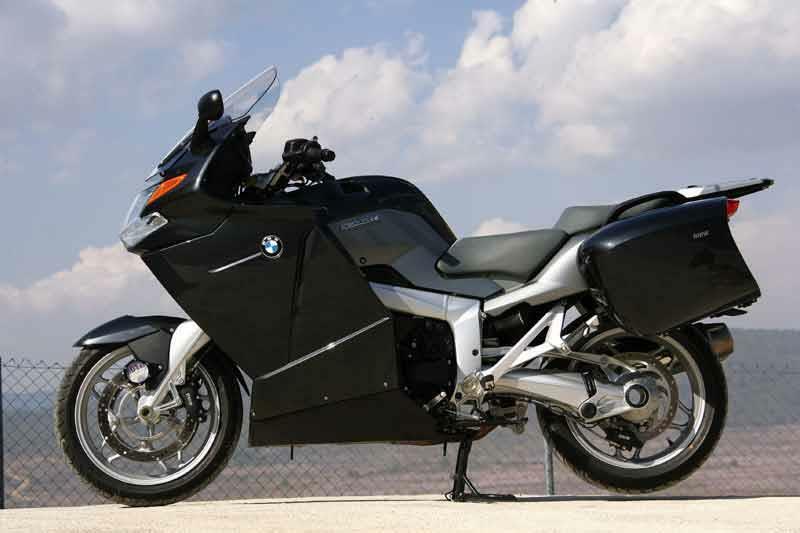 BMW K1200GT SE: Special Equipment motorcycle including heating pack (seats and handlebars) and cruise control. 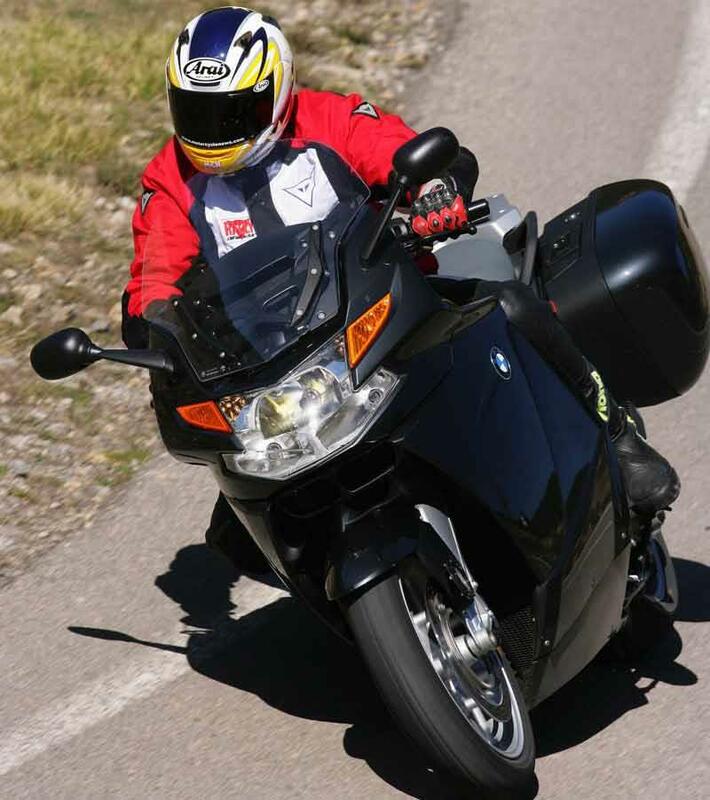 6 owners have reviewed their BMW K1200GT (2006-2008) and rated it in a number of areas. Read what they have to say and what they like and dislike about the bike below. I've had my K12GT SE since Sept 07, I've done 13000 miles on it and it's nothing short of awesome. It's perfectly capable of holding og R1's on acceleration. I've surprised a few when they saw the panniers and assumed it was a slow old tourer :) I had a ZX12R as well as this at one time and being fair there was not a lot in it to separate them performance wise. I specified the higher screen from new and when fully extended 90 mph is relatively peaceful behind it. The cruise control works brilliantly, only point I would make as a criticism is that the minimum the cruise can be set is 31mph. I'd like it to be settable at 30mph to make scamera dodging a little easier :) The tyre pressure monitors work well and advise when pressures are getting a little low. The Automatic Stability Control works well, reduces power when it detects the rear wheel spinning up, which given it's 152 hp is all too easy to do if you're cack handed. I also found when coming over rises on a favourite stretch of road at 80 mph I used to tweak the throttle on previous bikes to get a small wheely over the crests. The ASC stops such tomfoolery and reduces power to bring the front wheel back to earth gently. It's switchable if you REALLY want to wheely :) Luggage capacity is huge, especially with the optional large top case. The BMW tank back is not to firm a fit, bit disappointed really for a factory item, but it does clip on easily enough. Electronic Suspension Adjustment is a godsend. Set it on comfort mode while traipsing up the motorway then when you arrive in the Highlands flick a button on the move and it'll tighten up into sports mode. Brakes are incredible, very powerful, and semi linked, I originally was unsure but now I'm used to it I like the system. Backed up by the ABS they're a formidable stopping setup! Seat height is a tad lofty, I'm 32" inside leg and don't find it a problem. On mine they're equipped with rider and passenger seat heaters and combined with the heated grips they add incredibly to comfort on longer chilly rides. The On Board Computer system displays ave/current fuel/speed. At motorway speeds 75 to 80 on the GPS I was getting around 55mpg which is incredible. Especially compared to its peers! Allied to the 24 litre tank it gives a fantastic range. 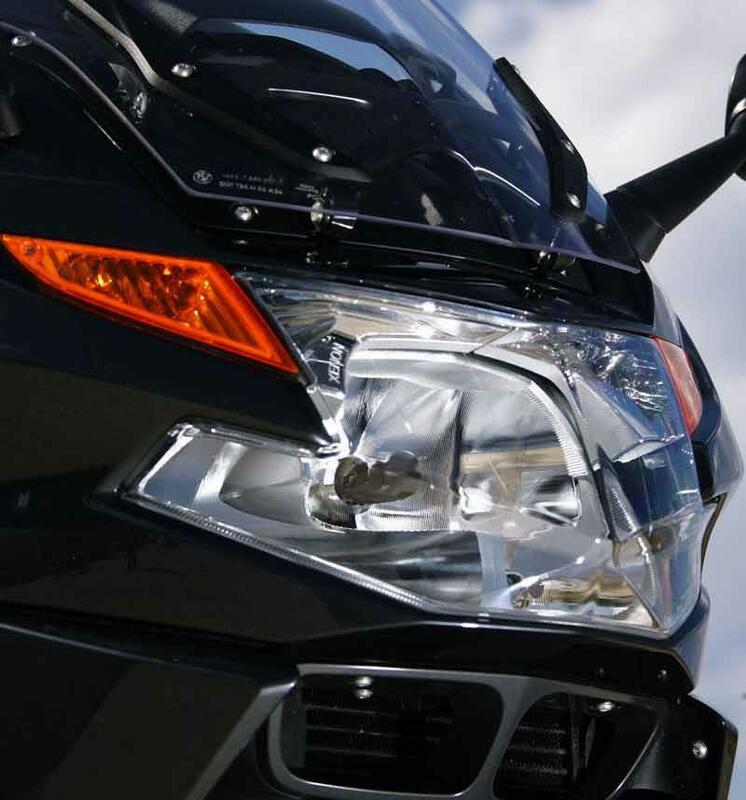 The DuoLever front end is simply stunning, almost zero dive from the front end under braking means at night the road stays well lit from the K's huge Xenon HID white headlight. There's little underseat storage but I have managed to store a tubeless repair kit in the seat cowling panels. There's a little glove box in the fairing under the twistgrip. About the only complaints I'd have is theres a clunk into 1st gear, I'd really like to have had a radio option. The R1200RT has a radio so why not the GT? There's certainly room under the left fairing panel. I looked there's a nice radio sized space there :) Oh and for a bike that with all the toys cost over 14000 quid new a toolkit would be nice. The supplied tork spanner and reversible screwdriver are a bit pants! Was looking to change bikes and since the k13 came out i felt now was a good time to pick up a low mileage k12 as dealers want to shift them to make room for the k13 sales. Picked up a last of the k12 run example from Park Lane at an excellent price at the beginning of August. 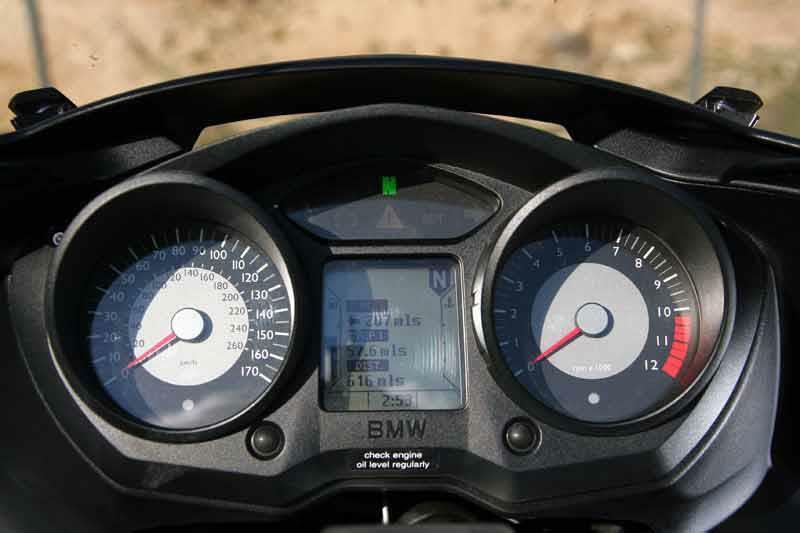 Quality of switch-gear on the k12 is far superior compared to k13 - progress bmw? Overall very pleased with this bike - ride and handling superb. fantastic two up comfort. Usual bmw clunk into first gear but had that on previous GS. Smooth engine, excellent suspension adjustment. I would say excellent value and great low milage examples to be had well below the price of a new k13. There have been quite a few comments about vague front end feel. I dispute this the handling is superb for a bike of this size . I think it is confusion over the fact that the ride is so smooth and the lack of feedback is just because you dont feel the bumps and glide over them. negative side would be the seat which lacks support if you are heavier but which can be rectified by an after market seat or a seat rebuild. If you want a serious touring bike with all the attributes of a sports bike but intend to carry people and luggage all day at what ever speed you are capable of, this bike has to be a serious contender.I am a very critical owner but am thoroughly enjoying my bike. It took a little while to get used to but it's well worth the effort. The engine is fantastic - on a long tour you can just cruise along two up and ride it on the torque. It's a very smooth, calm and quick way to travel. Go out to play solo keep the revs up and it flies. It doesn't lose out much round the twisties (especially now it's got Pilot Road2's on) and it soon catches back up on the straight. Definately the best of both worlds. The SE spec brings most things you need including ESA, which is brilliant. It just sorts everything out at the press of a switch. And, it works on the move, so you can select comfort for a softer ride the motorway and then firm it up when the bends come. The duolever front end feels a bit odd at first but it gives more feel than the telever set up on other BM's and generates a lot of confidence once you get used to it. Comfort was always OK but not great. However, the seats have just been upgraded by BMW under warranty and they are a big improvement, especially two up. The high screen isn't great but works well enough. There have been a few warranty niggles but the dealer has been good at sorting them out. In summary; a superb engine in a very good tourer. If you plan to do long distances and want to enjoy yourself when you get there; this is the bike to have. After my previous Pan ST1300, this is a sportsbike by comparison - AWESOME! Have just covered 1300 miles in the first 2 weeks since taking delivery and it gets better every day! It is noticeably lighter and more flickable than the Pan but it is the instant and endless power that is so impressive. It comes in so smoothly and with so much torque that you never need to change gear if you want to be really lazy. If you do use the gears however, you are rewarded with acceleration that a bike this big should not be capable of. 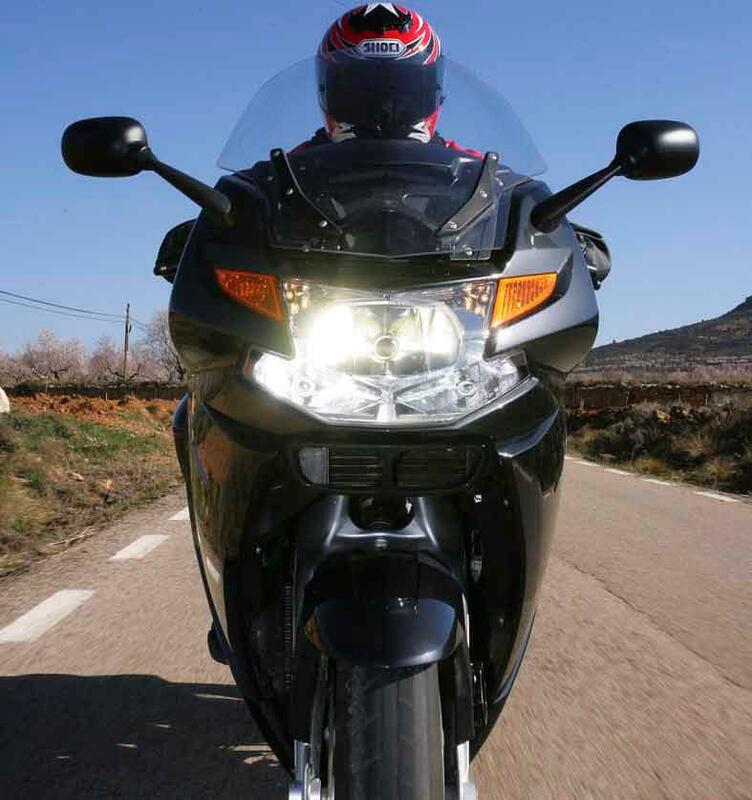 It has all the gadgets you could dream of and with heated grips and seats, true all-day comfort for touring. It is surprisingly flickable on back roads and on flowing A roads it is unbeatable. The bike's stability in corners really is good and inspires confidence. Even two up it is still remarkably lively and it has to be one of the best looking tourers around. RIDE ONE - YOU WILL BE PLEASANTLY SURPRISED!! Strengths: Power, comfort and genuine useability. Superb build quality and sportsbike like performance in a tourer! Weaknesses: Cost - but then it is a very high spec BMW!! An initial jerkiness in slow speed running was ironed out with a new piece of software at the first service. The gearchange is slightly clunky, especially when changing down, but this is already much improved and should get even better with more miles. FIRST GT RIDE IMPRESSION. A 45 mile, hour and twenty minutes Demo Ride at Daytona Speedway! At first glance th GT looks better in person than from Media pictures. The bike when first started needs a few seconds to go thru a systems check before the instruments lights all settle down. The ABS brake failure indicator goes out as soon as you begin to roll. The GT is everything you would expect and more. The bike is simply lovely to ride and very elegant. Hiway speeds is a snap, a simple touch of the ESA will adjust dampening to your taste. All the other options including the electric wind screen were just great. My personal option for riding 2 up would be to have a much taller wind screen to effectively provide greater wind protection for both rider and passenger. ABS is quite a leap of faith! The 3rd generation ABS adapts to the weight load after the third time you hit the brakes and will load that data for any panic stops. Strengths: When you do normall comuting or cross country riding the GT is the Class leader. 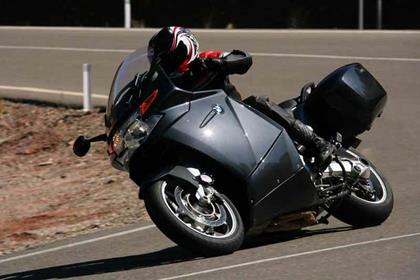 If buy chance you come upon a sport bike that regularly enjoys a romp on a stretch of road, the GT will delight you with its Hyabusa power to give your mate a little run for his money, side bags included. The GT just flies. The color combinations are very nice as with the fit and finish. Weaknesses: Well theres really not much to pick at on this bike. The right side clutch case cover might bump your foot on occaision. Until you master the brake system the servo assisted brakes can be a task in slow parking lot or stop and go traffic. Don't forget, if you kill the bike while in motion you disable the servo assist brakes, not good. Sometimes I've been known to pull up to the house and turn the key off, not with this bike. Every year on April 1 we see a raft of stories that seem too crazy to be true, because they’re not. "Flagship sports tourer based on the powerhouse ZZ-R1400 – and it's been worth the wait"